At this year’s Association of Public Data User’s (APDU) conference, Summit hosted the panel, Data Integration for Improving Program Effectiveness. Summit Partner talked with leaders from the US Securities Exchange Commission, the US Department of Labor, and ByteCubed about how they use administrative data for research to improve federal agencies’ programs and policies. 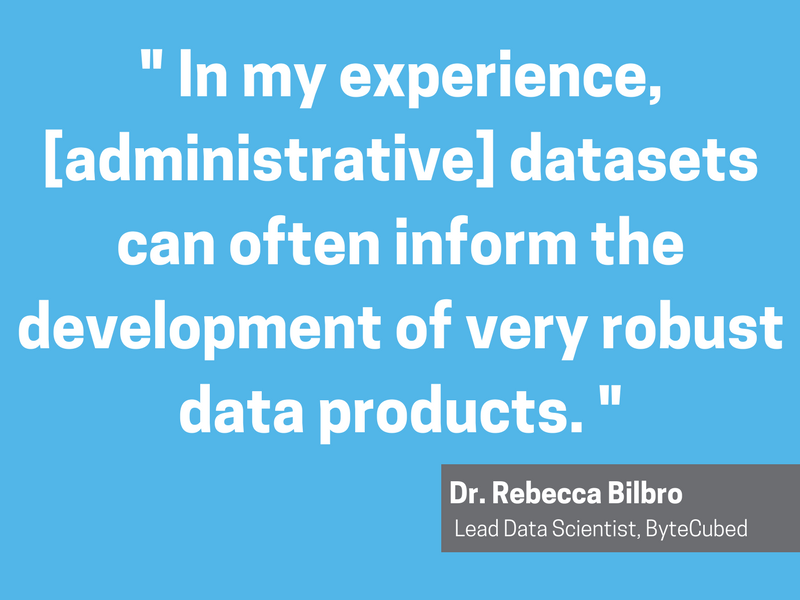 What Are the Challenges of Using My Administrative Data for Analysis and Evaluation? In the previous post, we discussed the many types of analyses that can employ administrative data. Once your organization decides to use its administrative data for analysis and evaluation, you might wonder about any potential obstacles for using the data for analysis. Despite the many advantages to using administrative data, there are a few specific ways in which using the data is more challenging than using primary data. 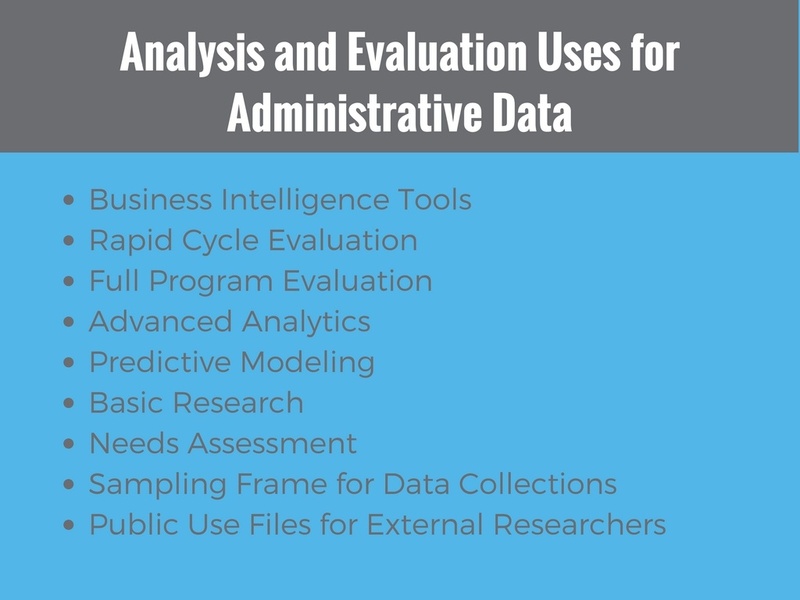 How Can I Use My Administrative Data for Analysis and Evaluation? 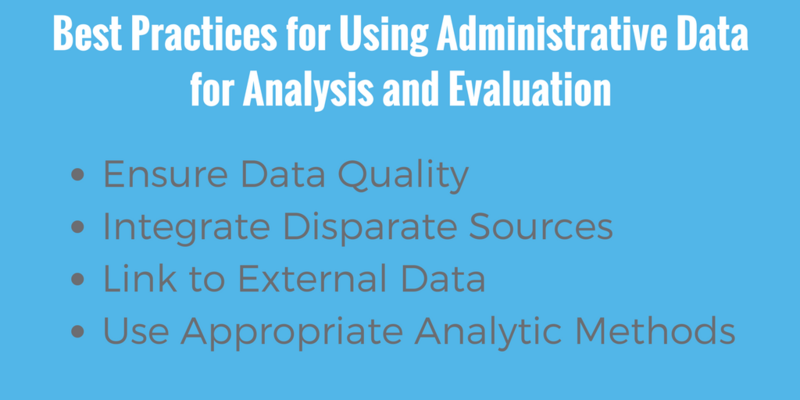 In the previous post, we discussed the many advantages of using administrative data for analysis and evaluation. At this point, you might ask, “Great, but how can I use my administrative data for analysis?” Your organization is adept at using the data for performance monitoring, compliance reporting, or grants management, but may be unsure about other ways the data can be employed. The good news is that with forethought, preparation, and some creativity, your administrative data can support a wide variety of analyses and evaluations. Why Should I Use My Administrative Data for Analysis and Evaluation? In the last decade, federal agencies have increasingly used administrative data to conduct analysis and evaluation. Administrative data is collected for non-research purposes such as: applications for services, records of service receipt, and outcomes after service. Under continued guidance to “make do with less”, these agencies have been encouraged to use administrative data as an alternative to collecting primary data for analysis. Seeing the direction of these changes, your organization might ask, “what are the advantages of using administrative data for analysis”. 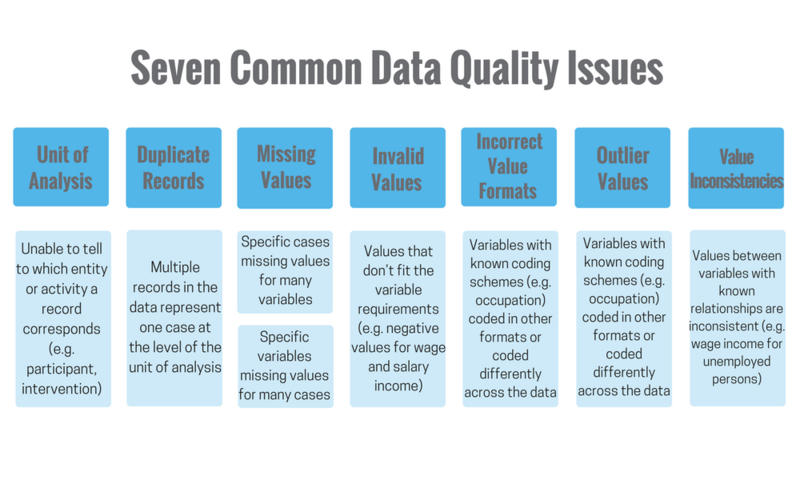 Summit's Dr. Shane Thompson writes about the importance of administrative data in impact evaluations in his three-part blog series. In his third blog, below, he writes about the synthetic control method. Those interested in reading more about program evaluation can download Summit's latest white paper here. We noted in the last post that an impact evaluator’s challenge with administrative data is in identifying a control group. 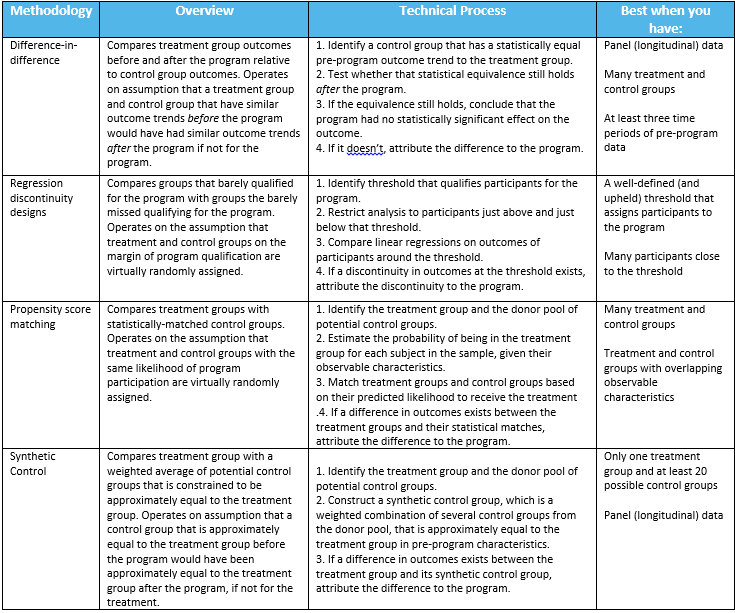 This post describes how an evaluator would use the synthetic control method to establish a control group and conduct an impact evaluation. Impact Evaluations Using Administrative Data: What Methodology Should I Use? Summit's Dr. Shane Thompson writes about the importance of administrative data in impact evaluations in his three-part blog series. 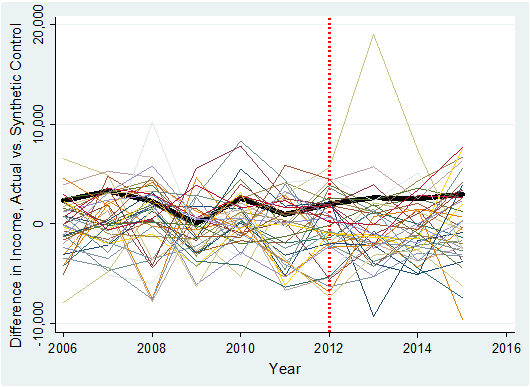 In his second blog, below, he writes about administrative data methodologies. Those interested in reading more about program evaluation can download Summit's latest white paper here. Much more often than not, your administrative dataset is not immediately ready for an impact evaluation. The dataset holds a wealth of information, but without a proper methodological approach you may only be able to extract summary statistics of the program, leaving the true impact of the program left unmeasured. (See the previous post in this series for the pitfalls of substituting summary statistics for impact evaluations). Last week, I presented the webinar, “Improving Administrative Data Quality for Research and Analysis”, for members of the Association of Public Data Users (APDU). 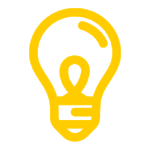 APDU is a national network that provides a venue to promote education, share news, and advocate on behalf of public data users. This week, Dr. China Layne will present a webinar to members of the Association of Public Data Users (APDU). She will present on “Improving Administrative Data Quality for Research and Analysis” on Wednesday, June 21, from 3:00 PM to 4:00 PM. On July 21, 2016, the Department of Labor (DOL) Employee Benefits Security Administration (EBSA), Internal Revenue Service (IRS), and Pension Benefits Guarantee Corporation (PBGC) published in the Federal Register a proposed rule outlining revisions to Form 5500.